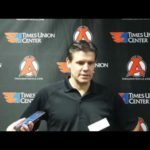 ALBANY, NY — Scott Wedgewood backstopped the Albany Devils to their 11th-consecutive home victory, defeating the Rochester Americans, 4-0, Wednesday at Times Union Center. 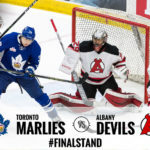 The Devils netminder was tasked with making 19 stops to extend his winning streak to five games and earn his first shutout of the season. 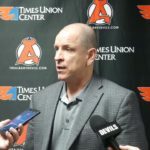 Mike Sislo, the reigning AHL Player of the Week, registered his third multiple-point game in the last four outings, posting a pair of assists. 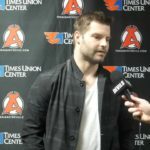 Brian O’Neill had multiple points, tallying a goal and a helper. 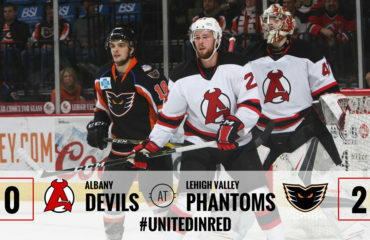 Pierre-Luc Letourneau-Leblond, Matt Lorito and Reid Boucher also scored as the Devils improved to 23-8-4-0. 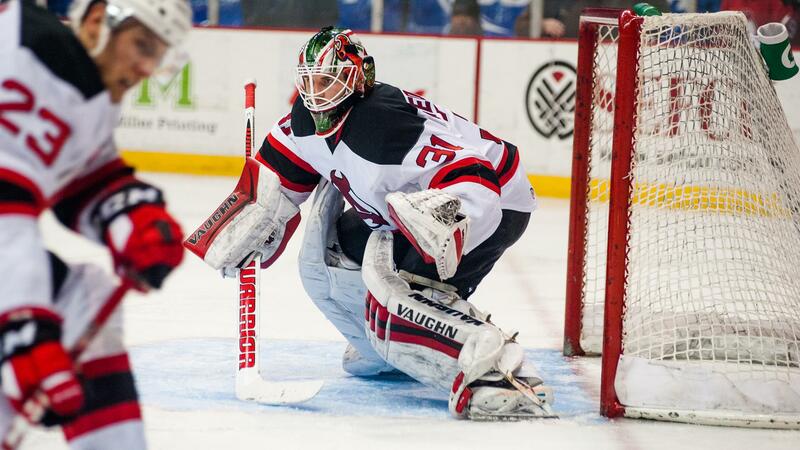 Albany faced netminder Robin Lehner, who is in the AHL on a conditioning stint from Buffalo. He had appeared in 62 NHL games during the last three seasons, but the Devils didn’t seem to have an issue. They unloaded 39 shots and used misdirection and speed to find the back of the net. Leblond started the scoring at 7:08 of the first period after Rod Pelley won a puck battle behind Rochester’s net. Leblond’s centering pass, which was intended for Corey Tropp, redirected off an Amerk defenseman’s stick and over the redline. 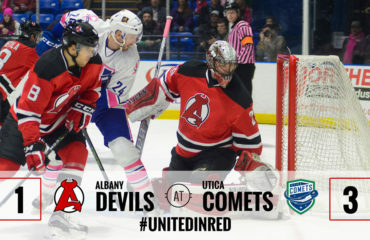 Albany, which owned a 39-19 shot advantage, added to its lead late in the second period. Sislo tried to sneak a puck five-hole while on a breakaway. His bid was stopped, but he gathered the rebound, circled the zone and found Lorito for a one-timer at 16:04. In the third, O’Neill redirected Dan Kelly’s point shot at 4:48 and Boucher scored on a wrister from the right circle at 11:05. The latter came on the power play, giving them at least one man-up goal in each of the last five contests. The victory was Wedgewood’s sixth of the season and his five-game winning streak is the longest of his career. He made four stops in the first, eight in the second and seven in the third. 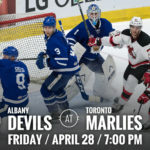 The Devils travel to face the Providence Bruins Friday at 7:05 pm. 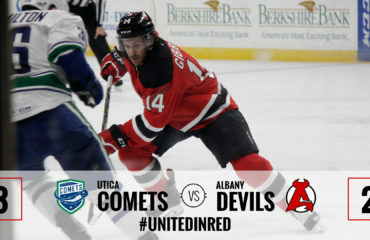 Fans can stream the game online at ahllive.com or listen on the radio at 104.5 “The Team” ESPN Radio.